Ask the average person to name a city in Utah, and almost all of them will say Salt Lake City. And while the capital city is certainly the most populous in the state, you'll most likely answer that question differently after a visit to Park City. For luxury ski and snowboarding vacations, there's simply no better place, and even if that's not your cup of tee there's plenty to fall in love with. Just ask the following resorts! Year-round vacations await you in the heart of beautiful Park City, Utah. With Padzu Vacation Homes - Park City, you can choose from a wide range of luxury and private rentals. Padzu Vacation Homes - Park City offers a selection of luxury Park City accommodations to choose from on your Utah vacation. The rentals come in a variety of styles and sizes including condominiums and spacious homes. Equipped with modern touches such as full kitchens, balconies or decks, fireplaces, flat-screen televisions, and wireless internet, you're sure to feel right at home! These exceptional accommodations are beautifully furnished and equipped with amenities that make you feel like you're in a five-star hotel. In the winter you can hit the slopes at world-class ski resorts such as Park City Mountain, Deer Valley Resort, and The Canyons. During the warmer months, there are local golf courses to visit, mountain biking at Deer Valley, and alpine sliding and zip-lining at Utah Olympic Park. Elegant ambiance, delightful dining, and first-class amenities are just a few ways to describe Stein Eriksen Residences. Located right in the heart of Deer Valley, Utah, and surrounded by beautiful mountains, Stein Eriksen Residences offer 39 luxurious condominiums and 15 beautiful homes to choose from on your Park City vacation. Unwind with excellent amenities including gourmet kitchens, elegantly appointed bathrooms with steam showers and walk-in closets, and wood or gas burning fireplaces. Not to mention the indoor/outdoor heated infinity pool and hot tubs, fitness center, and an onsite restaurant, The 7-8-8-0 Club. Concierge, shuttles, in-room special deliveries and more impressive services await! Discover Park City by taking part in fun-filled activities such as fishing, hiking, mountain biking, and skiing. Stein Eriksen Residences is the perfect Utah destination for any family vacation, romantic getaway, or solo travel. Complete your luxury experience with signature spa services at Silver Aspen Spa, which include soothing massages and restoring facials. If you want to have a romantic dinner or just spend some alone time with your partner, Stein Eriksen's child care services will watch them so you can enjoy your time together. Offering AAA Four Diamond, ski-in/ski-out leisure, you can't treat your family to a more luxurious stay in Park City than with Escala Lodges. Set at the base of Canyons Village in Park City and amid 7,300 acres of skiable terrain, stands the Hyatt Centric Park City. Your incredible well-appointed quarters are as close to the mountain as is possible, and you'll love how easy it is to slip on the skis, step out the door, and zoom down the mountain at a brisk pace. Park City is known to have fewer crowds than other skiing destinations, as well as a rustic mountain town charm. Speaking of the town, at Escala Lodges you're located just a few minutes from plenty of great shopping, fine dining, and charming art galleries. It’s really the ideal setting for a perfect mountain getaway! The resort is a 5.9-mile drive from Utah Olympic Park. There's also a casual restaurant/bar and a market with prepared food and groceries. 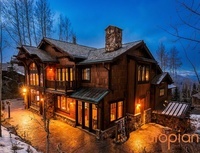 Park City Resort Properties invites you and your party to stay at one of their grandiose properties ANY time of year. PCRP truly excels at providing incredible experiences for its guests, regardless of season. Their two year-round resorts offer days and nights filled with exceptional food, endless recreation and enduring memories. Both Park City Mountain Resort and Deer Valley Resort feature a close proximity to beautiful Park City, and the World-class restaurants, concerts, and outdoor activities are just part of what visitors enjoy. Meanwhile, you'll also love the ease of access to Utah Olympic Park, where many events from the 2002 Winter Olympics were held. Fulfill a lifelong Olympic dream on a bobsled ride, tour the town in a hot air balloon, enjoy signature drinks while overlooking Historic Main Street, or just relax at one of the many world-class spas located throughout town. When you book a vacation rental through Park City Canyons vacation lodging company, you can rest assured that your comfort and peace of mind are of at the top of their priorities. Park City Canyons is an all-mountain lodging company, founded with the simple goal of providing families visiting Park City with an enjoyable and memorable vacation experience. Properties are varied in size and location, but all maintain the same amount of opulence and colonial charm. Just as important as the properties themselves is the personal attention the friendly staff give each of their guests. Guests also enjoy substantial discounts on lift tickets, car rentals, gear rentals, and more, so get out and get exploring! Park City is home to more than 450 miles of trails that are ready for you to explore via mountain bike. The owners of Park City Canyons, Bryan and Sonja Allison, are available 24/7 if you have any questions or concerns—either about your rental or about Park City’s many attractions. Park City was the site of the 2002 Winter Olympics, and to that end has some of the best winter sports venues in the country. If you love getting out and active in the snow, there's no better place to go, and you can't choose a much better company to rent from than SkyRun. With SkyRun, you can select or be matched with the exact Park City Area Vacation Condo, Chalet or Private Home you want! 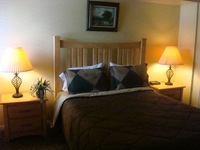 Look at photos, virtual tours, guest reviews, and comments, and determine what would be your perfect fit. WE have no doubt you'd love any of them, but depending on your party's size you may require a little more or less space. Make sure you take a trip over to Deer Valley for some of the best skiing in the country! The Canyons is the perfect blend of luxury and affordability- why would you stay anywhere else? Think fishing is only a summer sport? Winter is also a great fly fishing experience. Trout are hungry all year and as a result there can be some great winter fishing opportunities. 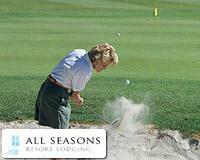 All three resorts are just a short drive from the Salt Lake City Airport. Deer Valley’s Signature Collection features luxurious private homes and condominiums conveniently located in resort villages. If you want privacy, community, or a little of both from your vacation rental, you can certainly be accommodated! The spacious accommodations, surrounded by the aspen trees at the base of Snow Park Lodge or in the heart of the European-style alpine village of Silver Lake, provide a unique and memorable vacation experience to all those lucky enough to stay. From one bedroom condominiums to seven bedroom private homes, residences are ideal for families or groups of all sizes and feature full kitchens, comfortable living areas, fireplaces, complimentary wireless Internet and daily housekeeping. Of course, you're in Park City for the natural surrounding, and those are all easily accessed in whatever property you happen to be staying in. Complimentary in-town transportation service, provided by Cadillac, allows for direct access to the resort and for guests to experience the shopping, dining and nightlife on Park City’s historic Main Street, just minutes away. In Park City, you're never far from a crystal-clear river or stream, so grab some waders and a pole and spend an afternoon guiding your line across the cool mountain waters! If you're simply looking for the rental company with the largest selection of properties in Park City, look no further than All Seasons Resort Lodging. Simply flip through All Seasons' online catalog for pristine hotel, condo, townhome, and vacation rentals of all shapes and sizes. From modestly-priced condos to luxurious ski-in/ski-out lodging, you’ll enjoy an exceptional resort property experience, every time. As the name implies, come visit any time of year and you're going to have an unforgettable experience! Park City lodging reservations made directly with All Seasons Resort Lodging receive complimentary concierge service and are eligible for additional discounts, ski tickets savings, a gift card to a local hot spot, room upgrades and more. Park City sits near two great rivers. Both Weber River and Provo River are frequent destinations for locals looking to cool off, especially during the peak of the season. Blooming Property Management and Lodging offers top-rated exclusive property management services for properties throughout the Park City area! Bringing over 30 years of experience to the table, Blooming Resort is unmatched in providing professional service with specialized knowledge in where to go, what to do, how to do it. Their multitude of luxury properties will take you in, chew you up, and spit you out a rested, happy vacationer. Take a load off and let Blooming Resort pick it up for you on your next vacation! There are over 60 condos and private homes in the catalog! The Great Salt Lake’s buoyant waters attract swimmers and sunbathers, especially at Antelope Island State Park. The Utah Jazz franchise began play in 1974 as the New Orleans Jazz, then moved to Salt Lake City in 1979. You'll feel like true Royalty when you step into your Classy Cabins rental home! All properties are locally owned, and provide the perfect mix of classy comfort and upscale cozy that you need and want when you are away from your own home. Surround yourself in the majestic beauty of the rocky mountains! Cabins are scattered throughout Utah and Northern Idaho, providing you with easy access to natural wonders like Bryce Canyon, Zion National Park, Dixie National Forest, and Brian Head Resort. Of course world-renowned Park City, The Canyons, and Deer Valley Ski Resorts also offer biking and hiking trails in the summer and in the winter. You won't be bored, to say the least! If you’ve never been to Park City, get ready to be blown away by Utopian Luxury Vacation Homes! Besides the pristine rentals you'll be staying in, there's simply an endless amount of incredible variety of outdoor activities and nearby attractions. You can enjoy great restaurants, fabulous shopping, exciting night life, and some of the best skiing found anywhere in North America. The character of Park City has been greatly influenced by its location in the Wasatch Mountain Range, giving the city a true mountain feel. Best of all, making this one of most accessible ski resort destinations in the world. So what are you waiting for? Get to your Utopia today! Main Street offers great shopping, dining, and nightlife, and is the epicenter of the Sundance Film Festival every January. Park City is only 32 miles east of Salt Lake City’s International Airport. Park City has more biking and hiking trails in the summer than any outdoors enthusiast can handle and when winter comes, mountain skiing is always exciting! On your next Utah vacation stay with Park City Rental Properties because they aim to please you, and their number one goal is to provide you with the vacation experience of a lifetime. At Park City Rental Properties you will find units with unique amenities like massively carved limestone fireplaces, marble floors, walnut wall accents, and plenty of luxurious seating. Give yourself the opportunity to unwind in a master suite that offers every luxury possible, including a king bed, hideaway 50-inch smart televisions, fireplace, and even patio access. Enjoy serenity, privacy, and luxury on your next Park City getaway. This year-round destination offers incredible skiing and snowboarding in the winter, while summer also brings cool, comfortable temperatures, a calendar full of concerts and events. In addition, Park City's eclectic shopping features everything from designer boutiques to sportswear, and handcrafted furniture to factory outlets! You will find large open living spaces, fully-equipped gourmet kitchens, and private decks overlooking the mountains. Relax in your own hot tub, enjoy ski-in/ski-out access, and so much more! Resorts West makes it their mission to provide a complete mountain-resort experience uniquely tailored to you and your family. Add in unprecedented opulence, and you're in for an incredible getaway. Forget the beach, and climb a mountain for your vacation this year! Resorts West is dedicated to cultivating one-of-a-kind mountain experiences with a collection of the finest Park City vacation rentals. Whether you’re looking for luxury Deer Valley lodging or a spacious vacation villa complete with a stone fireplace and full kitchen in The Colony at Park City, the friendly staff will assist you in whatever way you require. Just tell them Resortsandlodges.com sent you! In addition to world-class skiing and snowboarding, Park City hosts several events throughout the year including arts and cultural celebrations, film festivals, international ski and snowboard competitions, biking and year-round recreation for the whole family.